WASHINGTON — African-Americans face a disproportionate risk of pollution-related health problems caused by the location of oil and gas refineries, according to a new study released Tuesday. The report, a joint effort between the advocacy group Clean Air Task Force (CATF) and the NAACP, found that more than 1 million African-Americans live within half a mile of an oil and gas operation, while 6.7 million — about 14 percent of the national population — live in a county with a refinery. 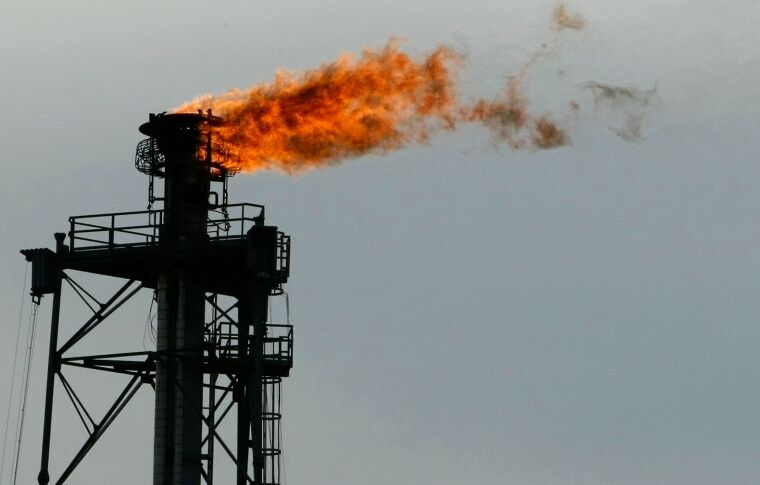 Marcus Franklin, the NAACP's environmental and climate justice program specialist and a co-author of the report, called the location of refineries in African-American and low-income communities a "growing threat." “There’s a growing threat faced by 'fence-line' communities,” said the report's co-author, Marcus Franklin, referring to the fact that oil and natural gas refineries are often situated near fences or property lines. The report found that Texas and Louisiana are home to the largest populations of African-American living in areas with cancer risk above the Environmental Protection Agency's level of concern. African-Americans in Houston and Dallas faced the highest risk of childhood asthma attacks due to ozone smog resulting from oil and gas facilities. However, since pollutants can drift for miles before forming ozone smog, black communities as far as Chicago, D.C., and New York City are potentially impacted, the study said. In addition, the report found that three states — Texas, Ohio and California, closely followed by Louisiana, Pennsylvania and Oklahoma – have the largest share of African-American citizens living within the “threat zone," an area within half a mile of active oil and gas wells, and processing plants. “It’s a significant problem and we should all be concerned by these health disparities,” Dr. Doris Browne, president of the National Medical Association, an organization that supports black physicians and was involved with the report, told NBC News. The physician told NBC News that communities that are disproportionately exposed to toxic and hazardous emissions (such as benzene, sulfur dioxide and formaldehyde) can face elevated risks of cancer, asthma, and more. The report, released as world leaders meet in Germany to assess progress in combating climate change, further alleges that the oil and natural gas industries violate the Environmental Protection Agency’s (EPA) certain air quality standards in many African-American communities. Democratic lawmakers and advocacy groups addressed the study's findings and the broader impact of climate change on communities, including those of color, during an event on Capitol Hill Tuesday. "Communities of color cannot wait any longer for the Trump Administration to address climate change," said Rev. Lennox Yearwood, President & CEO of the Hip Hop Caucus. "From Katrina, Sandy, Standing Rock, Harvey, Irma, to Maria — climate change's devastating impacts are here now, the solutions exist, and it's time to act. Climate change is not a game; it's a matter of life and death for our communities." Some environmental organizations criticized President Donald Trump’s decision to withdraw the U.S. from the Paris Climate Agreement and other actions, such as nixing the Clean Power Plan. “While Donald Trump and Scott Pruitt continue to prop up their polluter pals, states and cities across the country are moving ahead with innovations that combat climate change, improve our air quality and promote healthy communities,” said Gene Karpinkski, president of the League of Conservation Voters in a statement. Sen. Cory Booker, D-N.J., has sponsored the Environmental Justice Act of 2017 that would strengthen protections for low income and communities of color; it lacks bipartisan support. There’s companion legislation in the House. Rep. Al Green, D-Texas, told NBC News that while lawmakers and activists have fought what he termed environmental racism for decades, it can be difficult to gain traction. The congressman cited the “enormous amount of influence” wielded by many of the companies who build in these communities. “They’re very powerful,” he said, noting that residents often lack the resources to fight back or relocate. Energy companies often deny responsibility for the disproportionate impact of polluting facilities on lower-income communities and communities of color, noted Kathy Egland, the NAACP's Environmental and Climate Justice Committee Board Chair. In a statement, she said that while it’s often claimed that potentially toxic facilities were built first and communities knowingly developed around them, some studies of such areas have shown otherwise. “[These] industrial polluting facilities and sites have frequently been built in transitional neighborhoods, where the demographics have shifted from wealthier white residents to lower-income people of color,” Egland said.